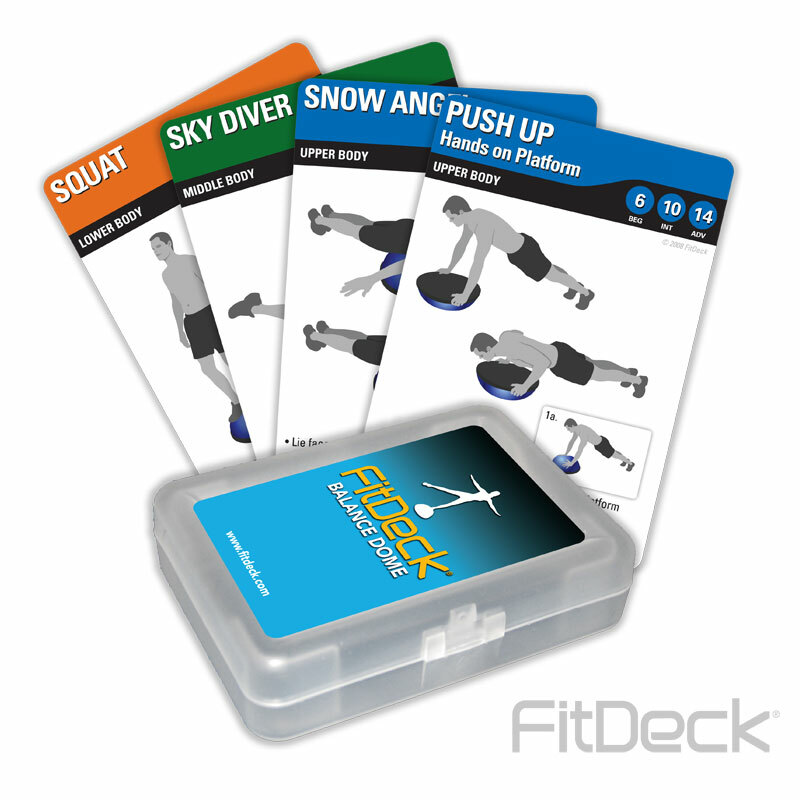 FitDeck ® Balance Dome Cards help you build core strength and agility. Contains illustrations & instructions for over 20 exercises. Routines range from simple coordination drills to challenging strength workouts. Some exercises require practice to fully master. Fitness Levels: Beginner to Advanced. Targeted Users: Men and Women (15-50 years).